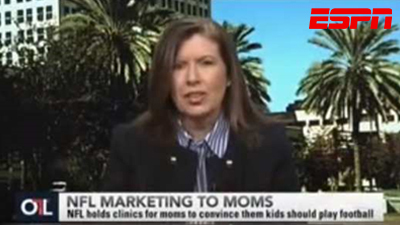 Maria Bailey’s reputation as a mom engagement expert means she is called on for frequent TV appearances. She was the original host of The Balancing Act on Lifetime TV, has appeared on every major network affiliate and most recently joined Bob Ley on ESPN’s Outside the Lines. Maria can often be seen on traditional TV as a mom expert. Each month over 11 million moms enjoy connecting with Maria across many platforms. She hosts live mom meetups and online socials on MomTV and her YouTube channel features everything from parenting tips to product reviews. Maria shares sneak peeks from events like ABC Baby & Kids Expo, Toy Fair and the Consumer Electronics Show. She leverages her experience in front of the camera to create warm and compelling Satellite Media Tour segments. Producers and on-air talent enjoy interviewing Maria because her experience shines through on camera. Additionally, Maria’s reputation in television and radio allows clients to maximize their SMT reach. Clients can also be assured appearances on many of Maria’s own shows, including Mom Talk Radio, MomTV and many others.